Opened by Her Majesty Queen Elizabeth II in 1961 and initially designed to provide Scouts with an affordable place to stay in London, 65 Queens Gate (formally Baden Powell House) has operated as an event centre since 1987. Any income made from the venue, goes back into supporting Scouting in the UK, which changes the lives of young people in the UK. The ethos of the 65 Queens Gate fits perfectly with companies looking to provide events with meaning, or with a passion for supporting charities and enterprises. 65 Queens Gate have 21 meeting spaces including a large Event Hall, rooms, suites and a wonderful rooftop terrace, you will always be able to find a suitable space for your team building event. The large event hall, which has recently been refurbished, has the capacity to hold 300 guests seated. 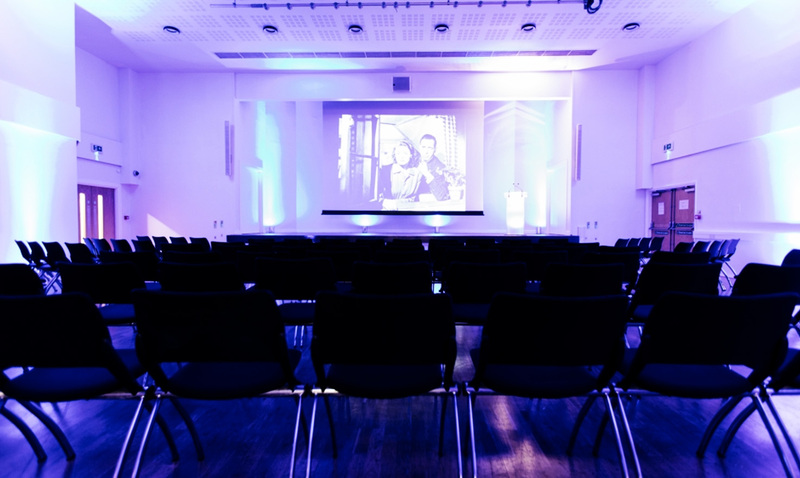 The large event hall comes equipped with large screen high definition projection and surround sound system with stage lighting and audio visual control. This large space combined with the lovely terrace is a rare find in London! The range of options and flexibility at 65 Queens Gate makes it an idyllic location for your next London Team Building Event or Summer Party.